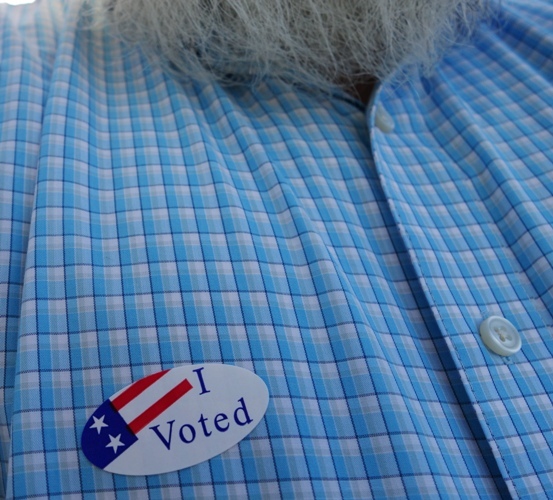 Today was Primary Election Day in California. I did not have time this morning to go vote before leaving for work, so planned on stopping at the polls on my way home. I first went to where I voted in the last election, and it was the wrong place. I guess I should have paid more attention to my sample ballot and the many mailings that I received from candidates. I just had to take a picture of the Polling Place/Lugar De Votacion sign. Of course it has to be posted in both English and Spanish here in California. I was looking for the 100 Pies, but couldn’t find them. 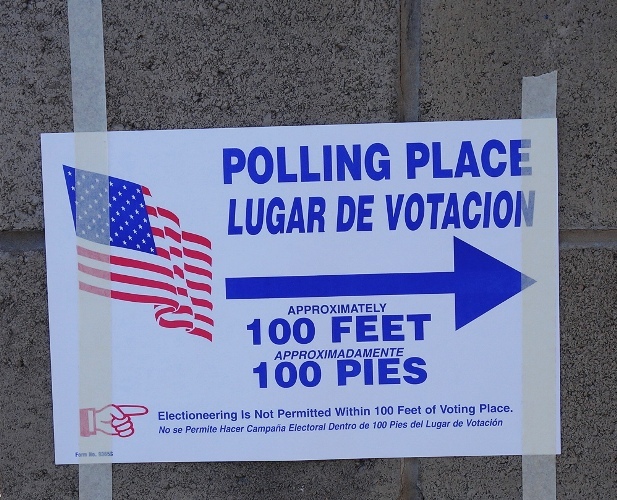 I did like the nice touch of the American flag in front of the polling station. It reminded me of my freedom to vote. Leading up to the election I had received a big stack of items in the mail. 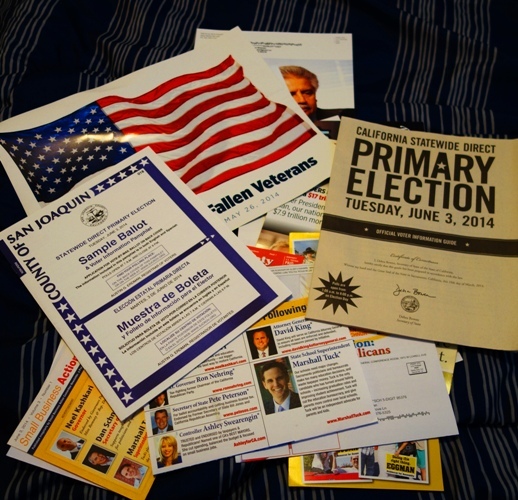 A sample ballot, election guide and many mailers from the different candidates and party headquarters. Interestingly enough I received the most mailers from a candidate that was running unopposed. I also received many phone calls in the last two weeks, I finally just let the answering service start picking them up. This also reminds me that I received a Happy Birthday e-mail from the RNC along with a request for a donation. The sticker has now joined some of my other ones on the mirror above my dresser. They remind me to make sure I vote in each election. I need to let my voice be heard. Now to find out the results of the election. Did the candidates and measures that I voted for win? Will I be able to vote for the same person in the General Election in November? 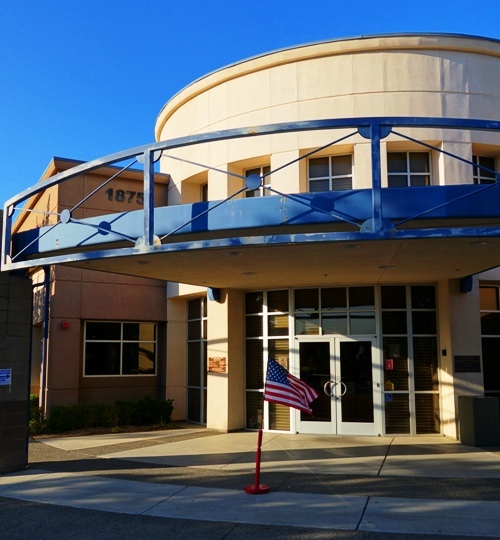 This entry was posted in California, Culture, Memories and tagged Ballot, Ballot Measure, Election, Election Day, I Voted, Political Process, polling place, Polls, sample ballot, Stickers. Bookmark the permalink.